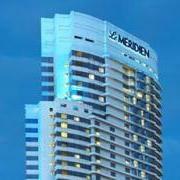 Pay for 2 nights at the Le Méridien Hotel in Kuala Lumpur and receive the 3rd night free. Rates for the payable nights start from MYR480 (USD155) for a Deluxe Room furnished with your choice of one king or two single beds. A 10% service charge and 6% local taxes are additional. The “Buy 2 Get 1 Free” promotion is available until December 31, 2012. 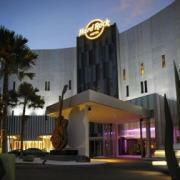 Enjoy daily credit of MYR100 (USD33) to spend on dining, shopping, or spa treatments when you book the “Anything You Want, You Got It!” package at the Hard Rock Hotel in Penang. 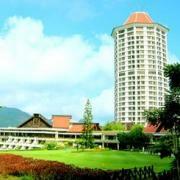 The package starts from MYR420 (USD135) for a Hillview Deluxe Room, buffet breakfast, and WiFi. A 10% service charge and 6% taxes are additional. This promotion is available until December 31, 2012. Book online to enjoy rates as low as MYR170 (USD55) for a Deluxe Room at the Awana Genting Highlands Resort inclusive of breakfast for two people. The quoted price is for the low season; rates start from MYR239 (USD77) during the shoulder season and MYR286 (USD92) during the peak season. The “iHoliday Best Deal” promotion is available until December 30, 2012. Book two nights or more at the Four Points by Sheraton Hotel in Kuching and enjoy a special rate of MYR200 (USD65) for a Comfort Room, buffet breakfast for two people, and late check-out until 4pm. A 10% service charge and 6% local taxes are additional. The “Simple Pleasures” promotion is available until December 31, 2012. 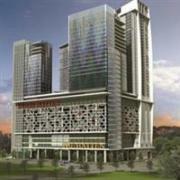 Be among the first guests at the new Hatten Hotel in Melaka and enjoy special deals. Opening rates start from MYR182 (USD58) on weekdays and MYR232 (USD75) on weekends for a Superior Room with breakfast for two people. The quoted rates are inclusive of 10% service charge and 6% local taxes. This promotion is available for stays now through August 31, 2012. 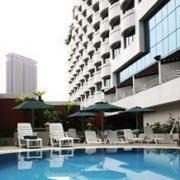 Book two nights or more at the Swiss Garden Hotel in central Kuala Lumpur and enjoy a 30% discount off their already low rates. 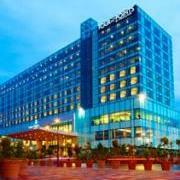 After applying the discount, nightly rates start from just MYR231 (USD74) for a Deluxe Room with free internet access. This rate includes 10% service charge and 6% local taxes. This promotion is available until June 30, 2012. La Pari-Pari, a new boutique hotel on beautiful Langkawi Island, is offering an opening discount of 20%. The discounted rate is MYR220 (USD70) per night with free WiFi and continental breakfast for two people. 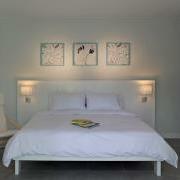 La Pari-Pari offers just 12 guestrooms and they are furnished with your choice of one king or two twin-sized beds. The “Opening Special” is available from April 1 to June 30, 2012. 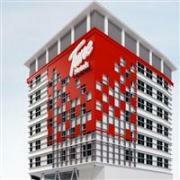 The Tune Hotel Ipoh officially opens on March 30, 2012, and promotional rates start from just MYR39 (USD13) per night for a Standard Room. A 10% service charge and 6% local taxes are additional. At Tune Hotels you only pay for what you use, and separate charges apply for air-conditioning, satellite TV, WiFi, and breakfast. Opening rates are available on select dates now through July 31, 2012.